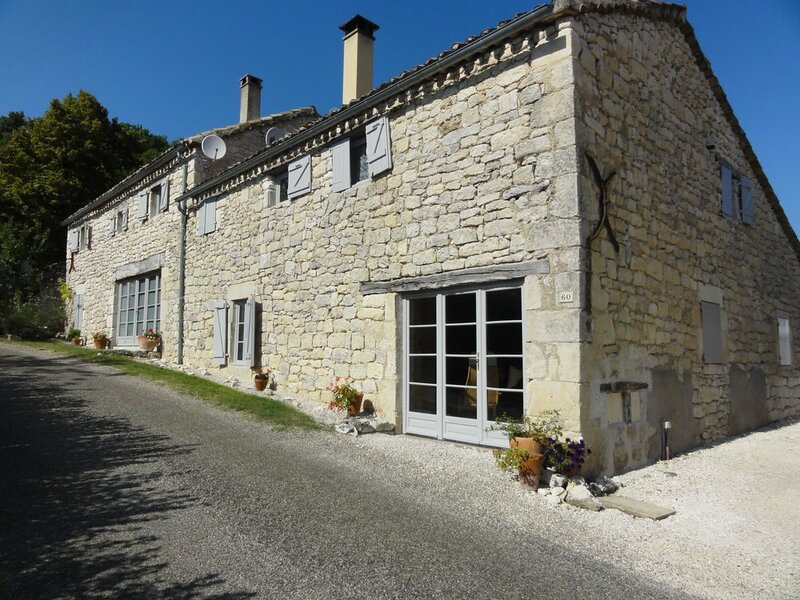 Our house and gite are in the small picturesque hamlet of Sainte-Croix in the Lot department. The town of Montcuq with its shops, bars, restaurants, post office, banks, doctor's surgery and weekly market is only 5km away. The much larger town of Cahors is about 25km and Toulouse and Bergerac airports are both only about 100km away. The house is stone built with terracotta roof tiles. The ground floor of the house comprises a large kitchen/dining area leading through to the sitting room. 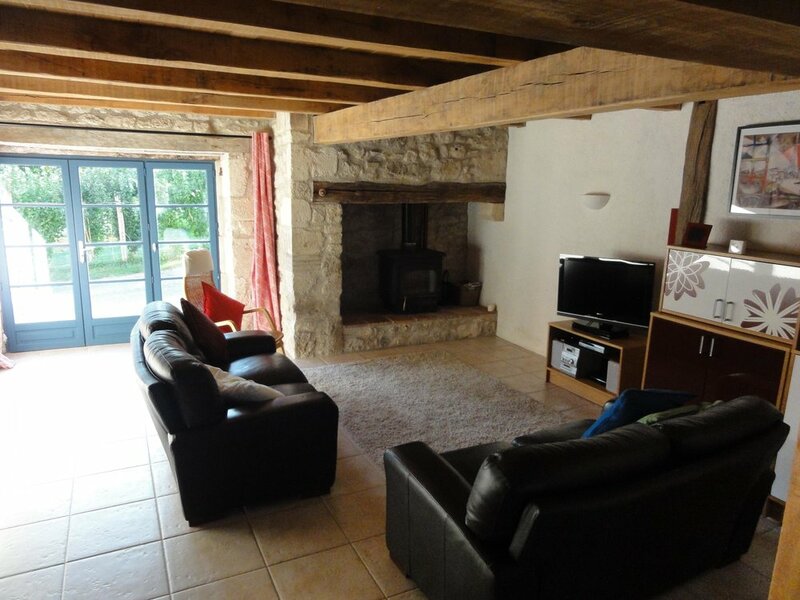 The floors are tiled and the lounge has a large open fireplace with a log burning inset stove. 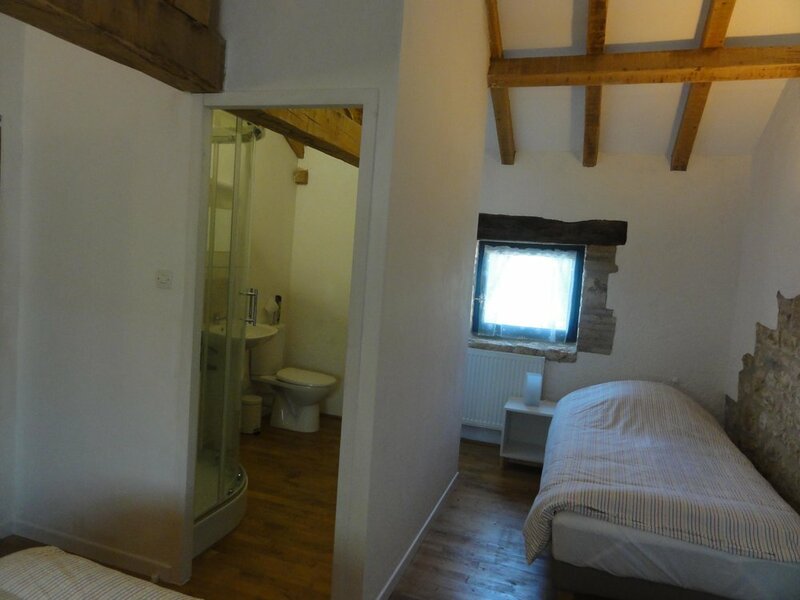 The ground floor also has a bedroom (currently used as a study), cloakroom, shower room and useful storage area. Stairs from the kitchen/dining area lead to the first floor which contains 2 bedrooms, 2 en-suite bathrooms and large attic storage area. 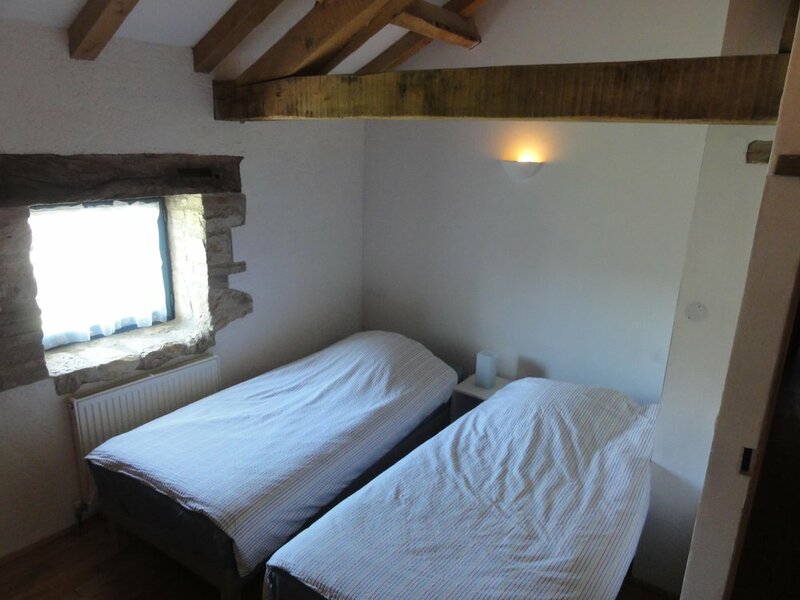 The floors upstairs are timber and there are attractive exposed beam ceilings throughout the house. Please scroll through the images below to see more. 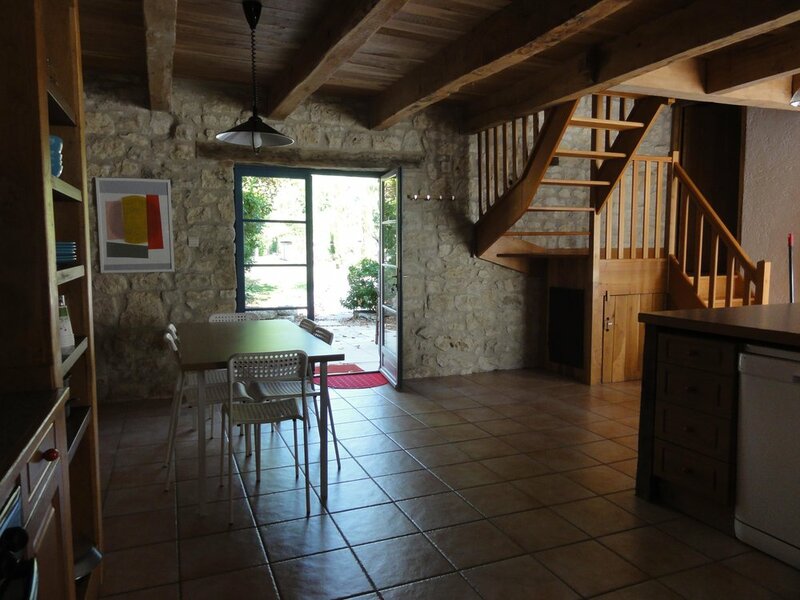 The ground floor of the gîte comprises a large kitchen/dining area leading through to the sitting room. 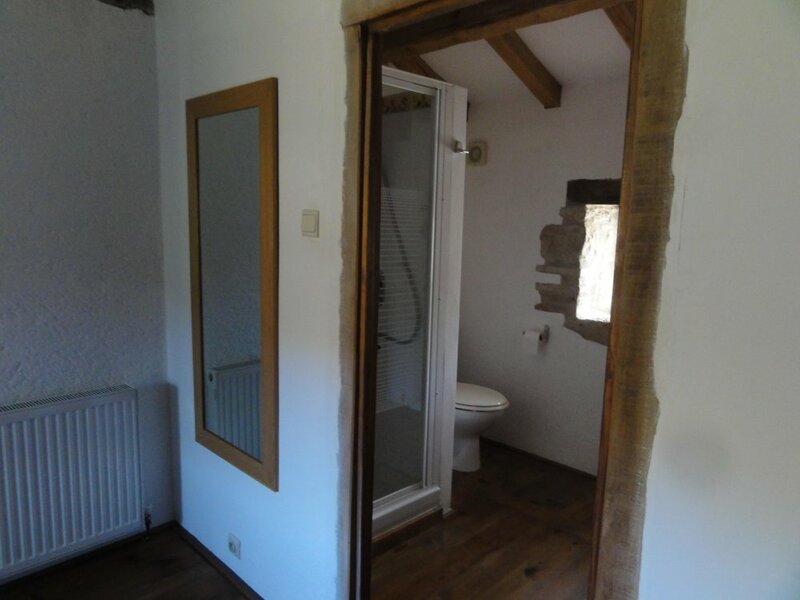 The floors are tiled and the lounge has a large open fireplace with a log burning inset stove. Part of the ground floor has been converted to a store with access from the terrace and it would be possible for this to be used as an additional room. Stairs from the kitchen/dining area lead to the first floor which contains a bedroom with ensuite bathroom and 2 further bedrooms and a family bathroom. 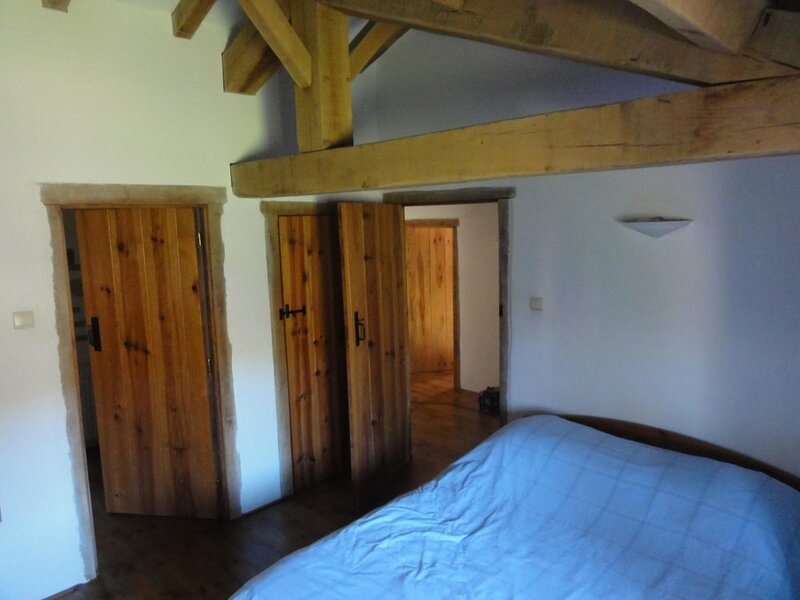 The floors upstairs are timber and there are attractive exposed beam ceilings throughout the house. Please scroll through the images below to see more. 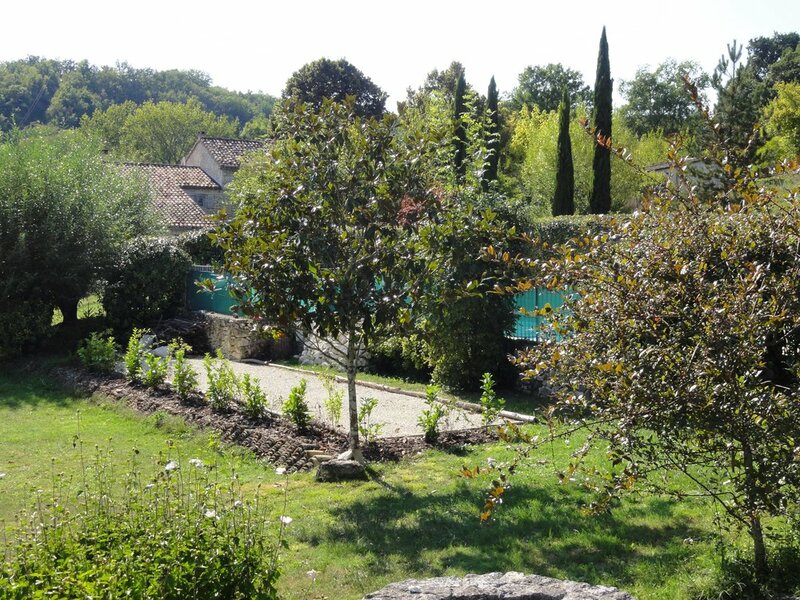 The garden is mostly grassed but contains numerous mature trees, shrubbed areas, a pleasant seating area with barbecue, a petanque terrain and an enclosed 10m swimming pool. Please scroll through the images below to see more.